Stenhagen was acquired in December 2014. 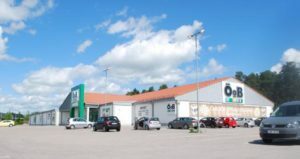 The property comprises over 2,500 sqm retail space with ÖoB as tenant. The property is located in Stenhagen, Uppsala, a fast growing residential area. Nordika plans to explore the creation of residential building rights on the 10,000 sqm plot.